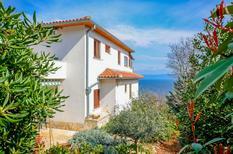 A holiday house in Istria costs on average USD 602 in the cheap travel period and USD 1,089 in the peak season per week. These details are of course in relation to the house and not per person as well as includes the obligatory additional charges. Istria, the biggest peninsula in the Adriatic Sea, is truly a traveller’s paradise. 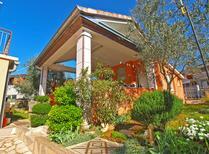 A holiday home in Istria serves as more than just a run-of-the-mill holiday accommodation. It acts a base for guests who want to soak in the myriad experiences of Istria and come back to a place that feels like home even in a foreign land. Travellers often refer to this heart-shaped peninsula as “Tuscany with colours” due to the similarities between the two places. Istria is spread across Croatia, Slovenia and Italy – and the influences of these countries can be seen in its architecture, cuisine, art and culture. Istria is home to the remains of Roman villas and UNESCO world heritage sites for history lovers, amazing trails to hike and bike on as well as scenic countryside for outdoor enthusiasts, excellent food and premium local wines. In addition, the variety of quality holiday homes in Istria available at TUI Villas offer a wonderful stay for all visitors. This region truly checks all the boxes for an unforgettable holiday experience. The small coastal town of Rovinj has ancient houses on narrow streets, a harbour that is home to a fishing industry and a charming Mediterranean feel. It has a strong Venetian influence too, visible in places like the town’s historic centre. Visit the main Istrian city of Pula for the stunning Roman Amphitheatre that is still used as a stage in the summer. The Triumphal Arch of the Sergi close by is worth a visit too. Pula is also known for its vibrant reefs and diving spots. The Brijuni archipelago on Istria’s southern coast is where guests can enjoy unspoilt natural beauty as well as a cultural heritage that goes back to the Byzantine and Roman times. The National Park is great for a day trip. 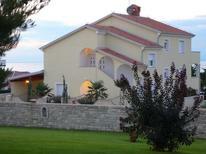 A stay at holiday homes in Istria is also an opportunity to explore other parts of Croatia. With more than a thousand islands, this European country has diverse attractions like beaches and water activities, ancient walled towns, historic structures from Roman columns to Viennese palaces and delicious food and Croatian wine. Housed inside Pazin's Medieval castle, the Ethnographic Museum of Istria has a splendid display of traditional musical instruments, textiles, fishing equipment and costumes to give history-loving visitors an idea of Istrian history and tradition. Travellers with pets can head to the dog-friendly beaches, which include the rocky Lighthouse Beach and Seagull's Rocks. Later, head back to the comfort of your pet-friendly holiday home in Istria to enjoy quality time with your canine friend. Those interested in local culture can attend events in Lovran such as the Cherry Festival in June where freshly-picked Lovran cherries are sold and the day concluded by folk performances and the slicing of a giant strudel. The ultimate gastronomic highlight of Istria is undoubtedly the truffle, a variety of which are grown in the peninsula. Being rare and expensive, Istrian truffles (particularly the white truffle) are among the world’s most prized culinary delights. You can carry back some truffle-flavoured olive oil as an exotic holiday souvenir. Check out local favourites like fresh seafood including scampi and squid in the coastal areas. 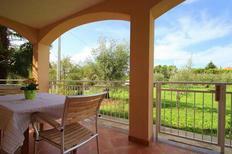 A variety of pasta, risotto, polenta and other Italian delicacies are also found across Istria. The markets here are known for a wide range of fresh produce and ingredients, so travellers can even pick up a few local recipes and try it in the comfort and privacy of their holiday apartment. 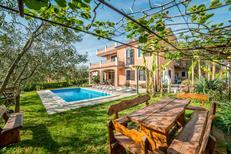 Why book a holiday home in Istria? 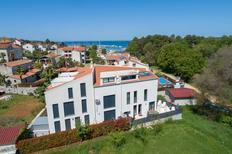 Whether you are travelling with extended family and friends in a large group or on a romantic Italian vacation with your partner, TUI Villas has a number of holiday apartments in Istria to suit your needs perfectly. Choose a holiday apartment by the sea to admire the sunset from, or go for a practical apartment with a pool and self-catering kitchen to keep your children entertained and happy. 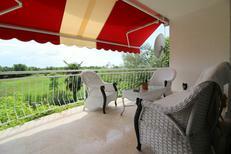 At TUI Villas, service is offered even during the booking process, so you make just the right choice. Moreover, with all landlords being already checked, travellers know they are getting a trustworthy property for their holiday. The location of the peninsula is such that there are plenty of other regions that make for perfect day trips to enhance a vacation in Istria. Premantura, a charming little settlement, lies approximately 10 km away from Pula, Istria’s centre. Its varied plant life and spectacular coastline make it perfect for nature lovers and family excursions. The picturesque Cape Kamenjak is also close by. The resort city of Piran in neighbouring Slovenia is popular for its structures with Venetian architecture set against a turquoise sea. Sailing, swimming and biking are a few of the recreational options available here, while the Venetian House is a famous local attraction. Trieste is an Italian coastal city that is known for the Piazza Unità d'Italia, the gorgeous main square. The scenic harbour front is perfect for relaxing and admiring the sights. Located some 1300 km apart, a flight between the U.K. and Istria is quite convenient. Many journeys to Istria have a route via Zagreb. 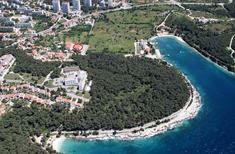 An international airport at Pula serves Croatia, and is located approximately 60 km from Istria. Flights are available to Pula from London, Manchester, Edinburgh and other places in the U.K. Once there, hiring a car is a good way of getting around Istria. This will let you explore the peninsular independently. The climate in Istria varies depending on the region but Rovinj and Pula are the warmest places on the peninsula, whereas Pazin is the coldest. The summers in Istria are dry and warm and winters are mildly cold. The best times to visit Istria are in spring and autumn. April and October are perfect for outdoor activities like cycling and hiking on the peninsula. July and August are good for beach trips and visitors can rent a holiday home at the beach for a memorable experience. Travellers looking to avoid the summer crowds should plan their visit to Istria in May, June or September.